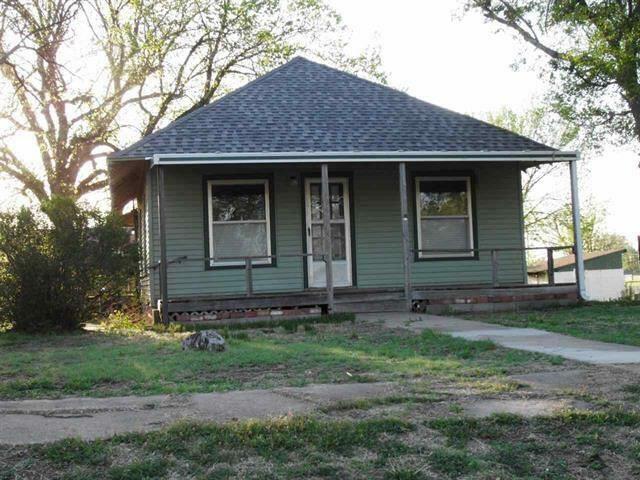 This cute bungalow would make a great starter or retirement home, or hunter's cabin! Updated with NEW: Roof (down to new decking); NEW Central Heat/Air Conditioning; NEW Kitchen Cabinetry, Counters, Stainless Steel Appliances; NEW Flooring Throughout; NEWLY Sheetrocked Ceilings and NEWLY Re-plastered Walls Throughout! Located 2 hours west of Wichita & less than an hour's drive to Dodge City, KS, Pratt, Ks or Woodward, OK, the City of Protection is a great place to raise a family with a great small town school system. It is home to 502 of the most gracious people you will ever meet.